I reviewed the new Moby album for Clash. As any longstanding readers of this blog will be aware, I have something of a troubled relationship with Moby’s music, mostly driven by the fact that I got into him upon the release of ‘Move’ and haven’t always agreed with his stylistic shifts. And so, somewhat negatively I admit, I really wanted to dislike These Systems Are Failing, I really did. It turns out that it’s really, really good. The debut album by Brooklyn duo The Fantastic Plastics, Devolver, was one of my absolute highlights from 2015. Its release saw me give the record a glowing review for Electronic Sound, as well as offering up further convincing proof that pretty much any music that originates from Brooklyn’s streets is still über-cool. Tyson and Mandy follow up the album with a new EP which literally and figuratively picks up from where Devolver left off – namely synth-punk songs about demoralising work schedules, romantic Fifties-esque notions of sci-fi sensibilities and some of the most urgent synth-augmented rock since Devo’s Something For Everybody; ‘The New Elite’, with its line ‘we won’t be obsolete’ directly responds to a track on Devolver that suggested the human being was being replaced by technology, of little comfort here as machines mesh seamlessly with guitars as to be indistinguishable. If what you want is something frantic, relentless and a huge amount of fun (albeit delivered with a wryness that suggests deep ongoing cynicism on the part of this duo), Invasion is unstoppably well-intentioned, taking in everything from Pink Grease-esque sleaziness and electro-infused riffs that feel like the duo have spent a long time listening to the mechanics of ‘My Sharona’s staccato centrepiece. 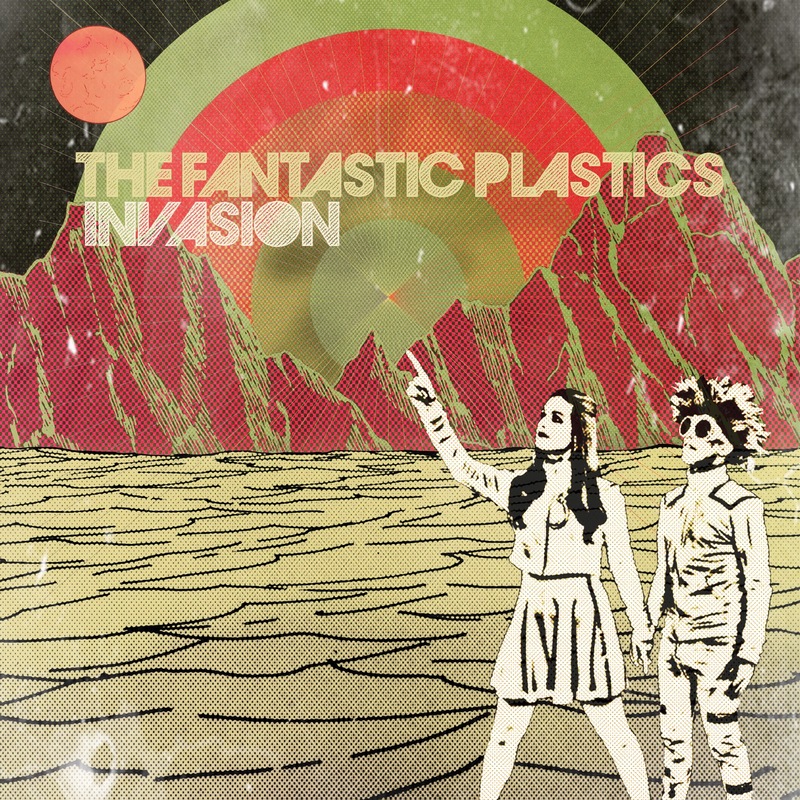 Honestly, when I was growing up, listening to the way synth music felt like it was overtaking pedestrian guitar rock at an incredible and thrilling pace, I’m pretty sure that The Fantastic Plastics were what I was imagining future music would sound like all along. By that measure alone, Invasion is nothing short of essential.